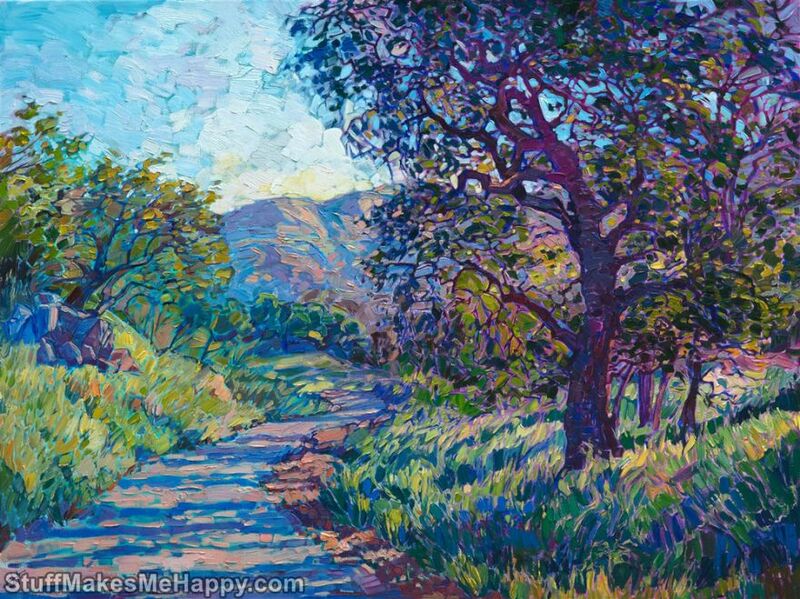 Surprisingly bright and juicy paintings by impressionist artist Erin Hanson are filled with life and energy. 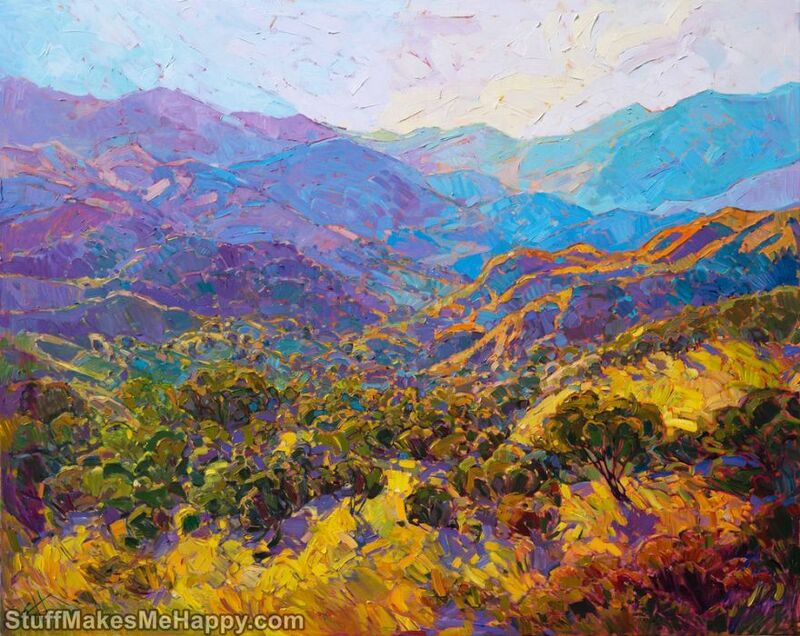 A resident of California has always loved wild, untouched nature, often go hiking and climbing. 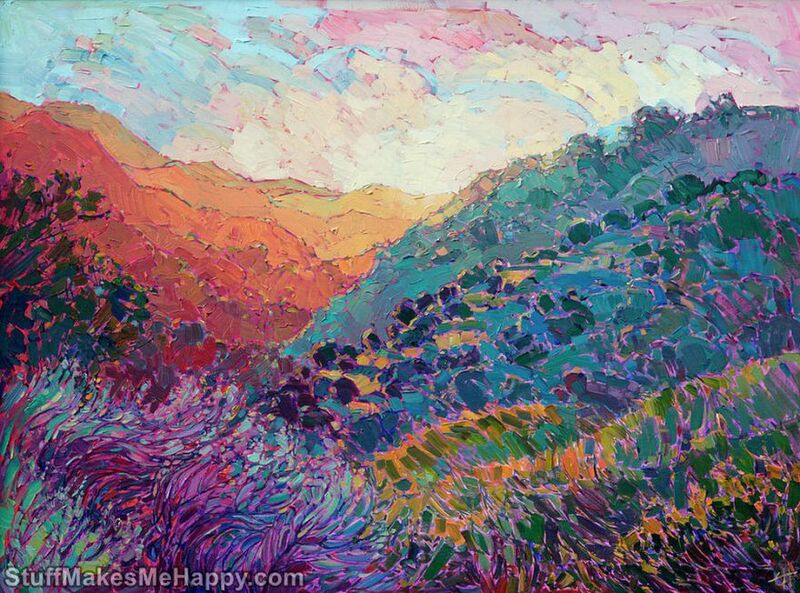 Erin created the first paintings in her childhood, learning to work with water-color, acrylic and oil paints. 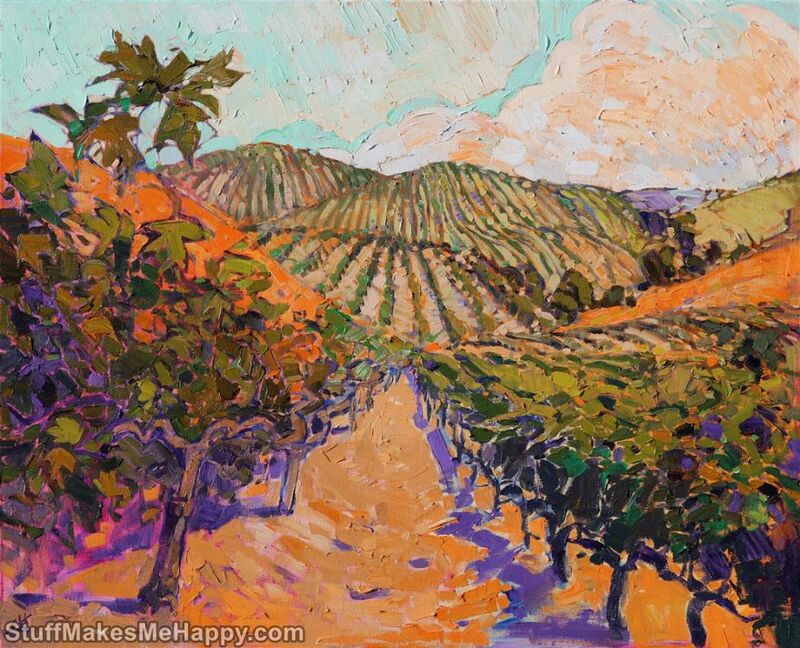 Experiments have grown into a personal style, called Hanson "open impressionism" (Open-Impressionism). 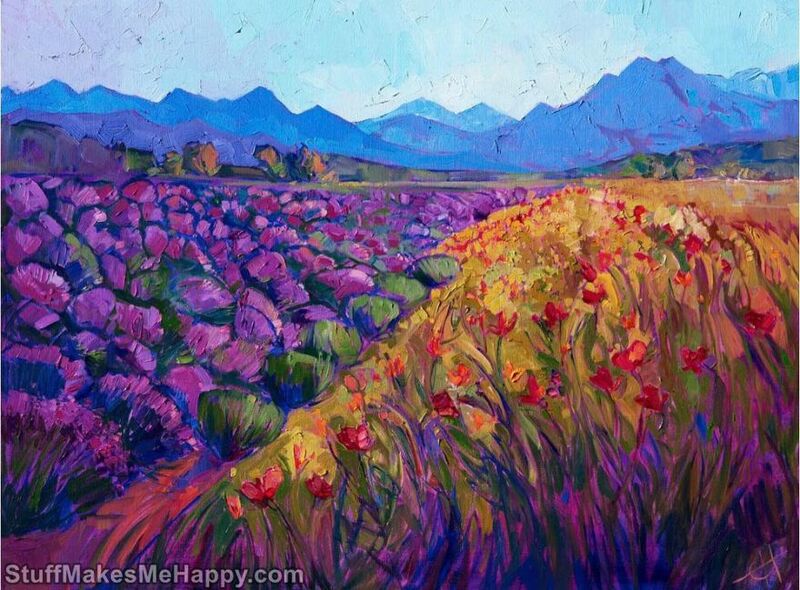 Erin's technique is to apply bright, clean colors with confident strokes. 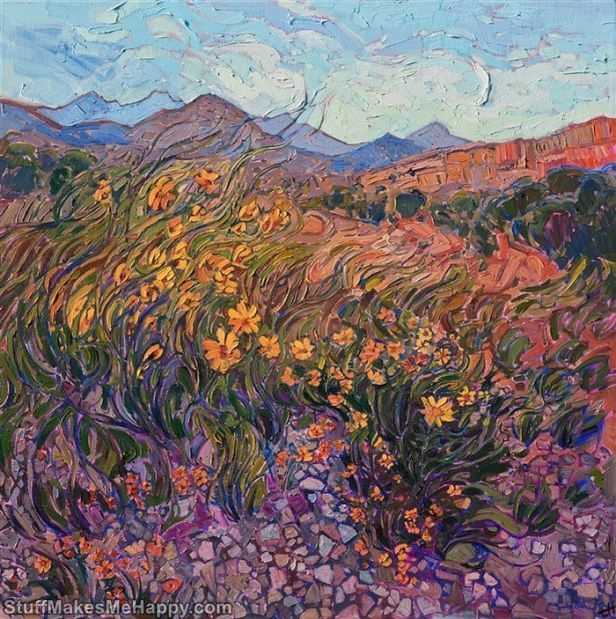 This unusual texture attracts the eye, gives the depth of the picture, similar to the vague image of the living landscape, you can even feel the touch of the wind. 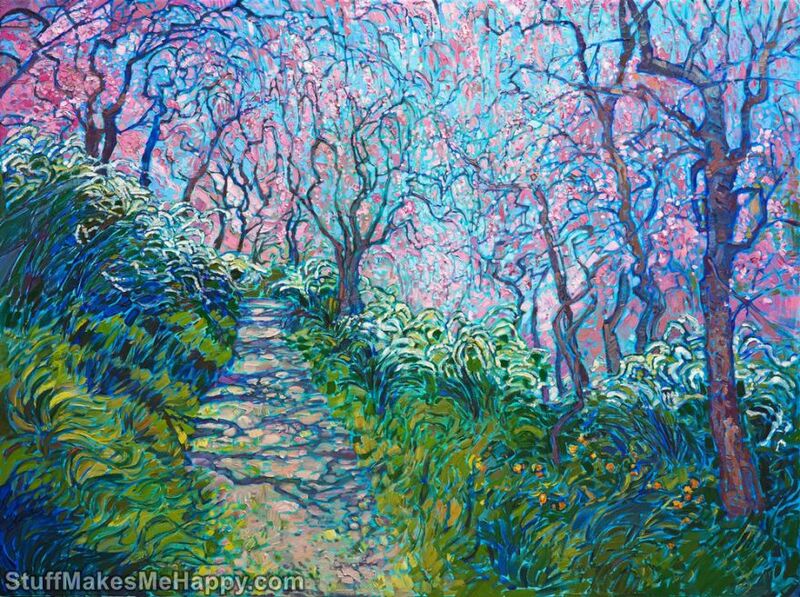 The landscapes of spring to summer transition are surprisingly rich and simple, which makes them attractive. 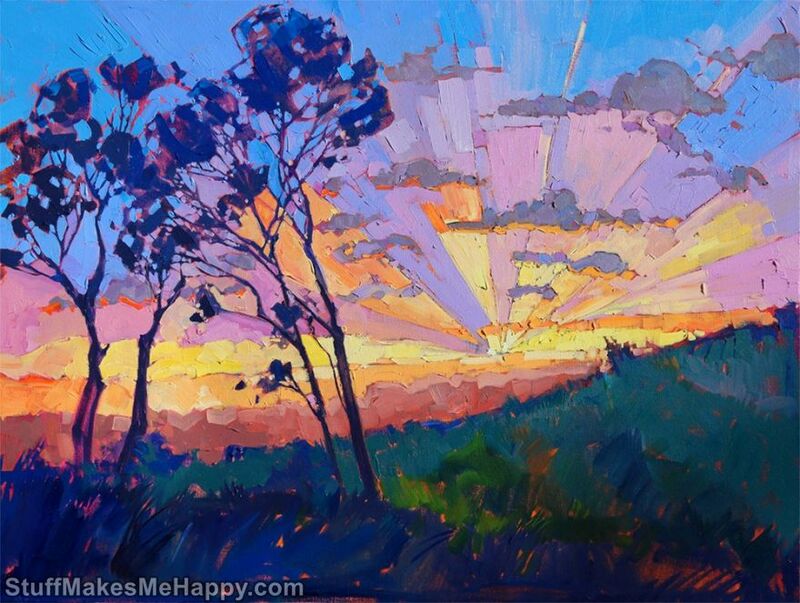 Waving grass, sunset over the field, sloping treetops, mountains and hills - all the beauty of nature on canvas. 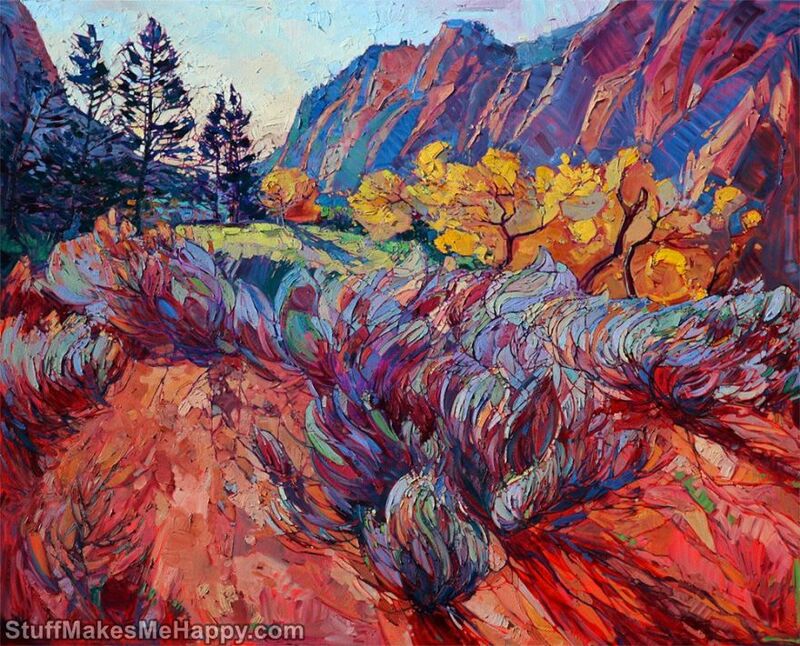 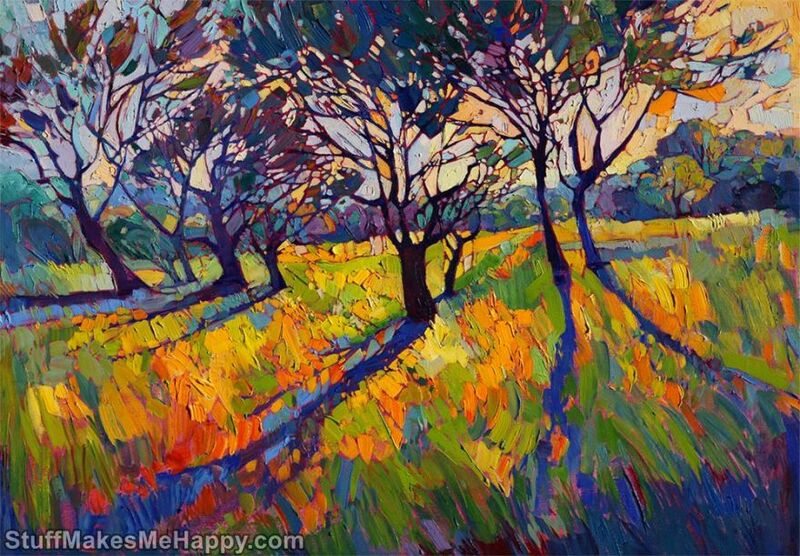 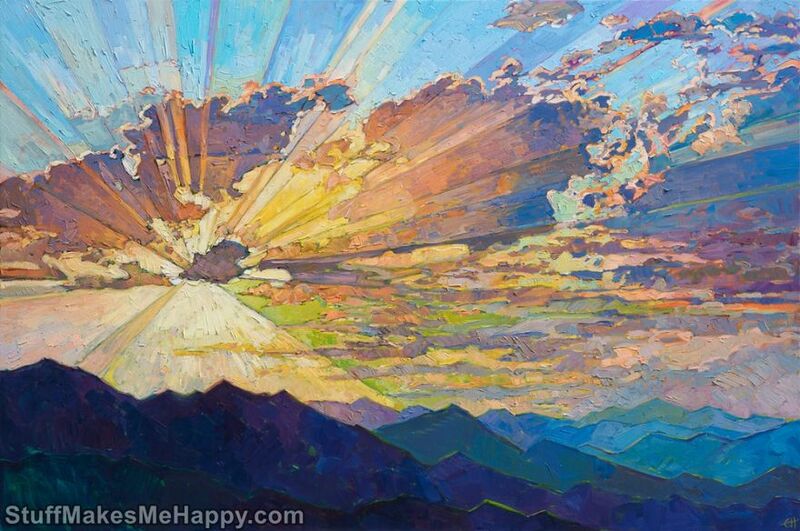 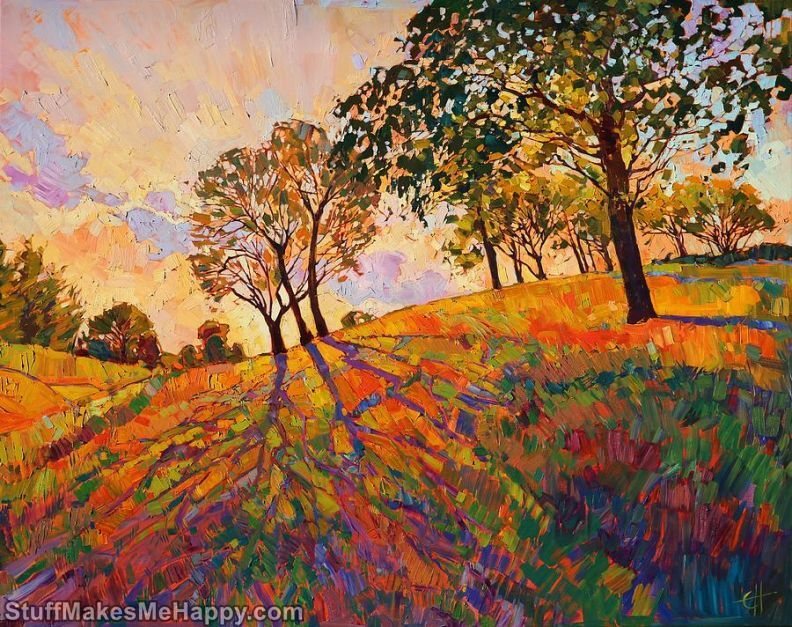 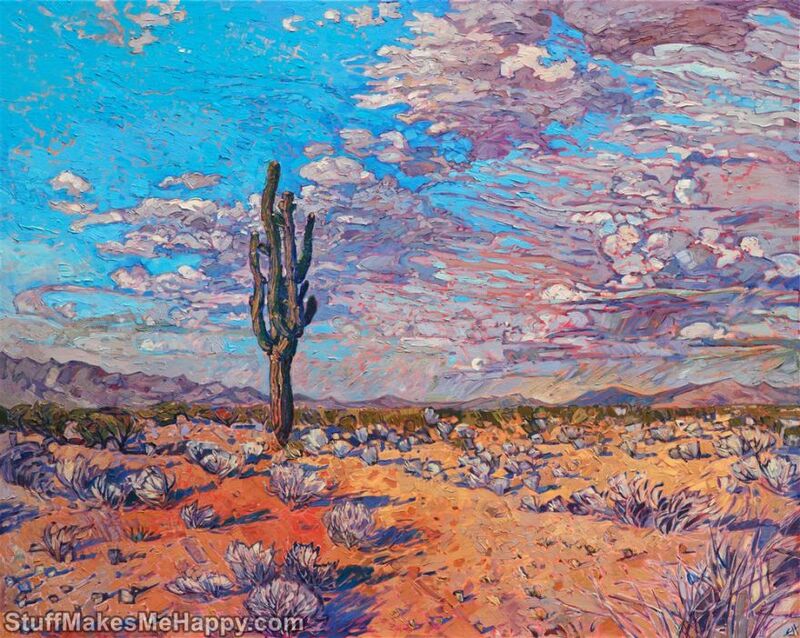 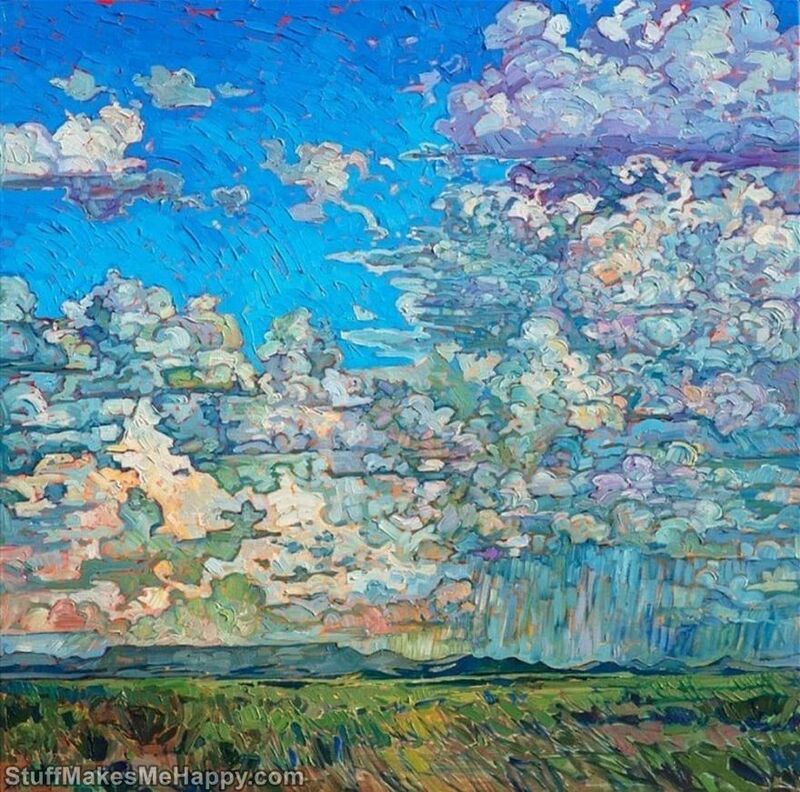 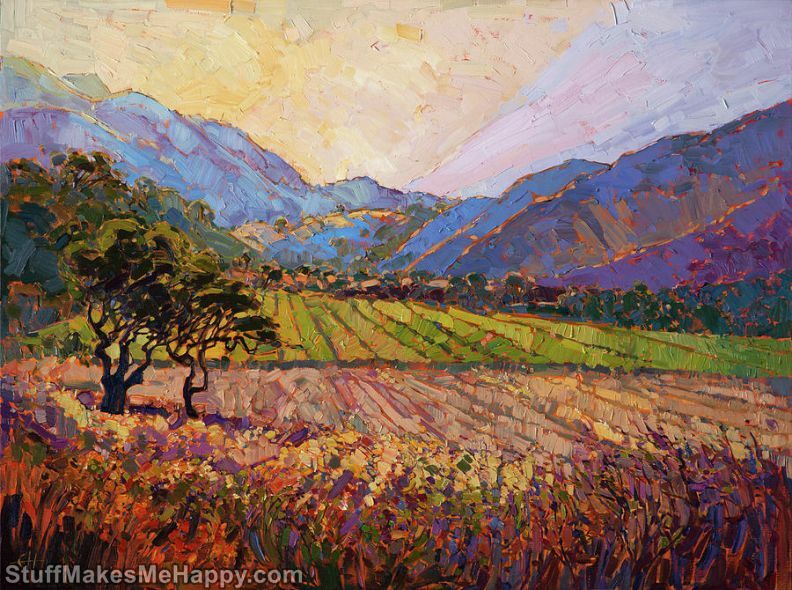 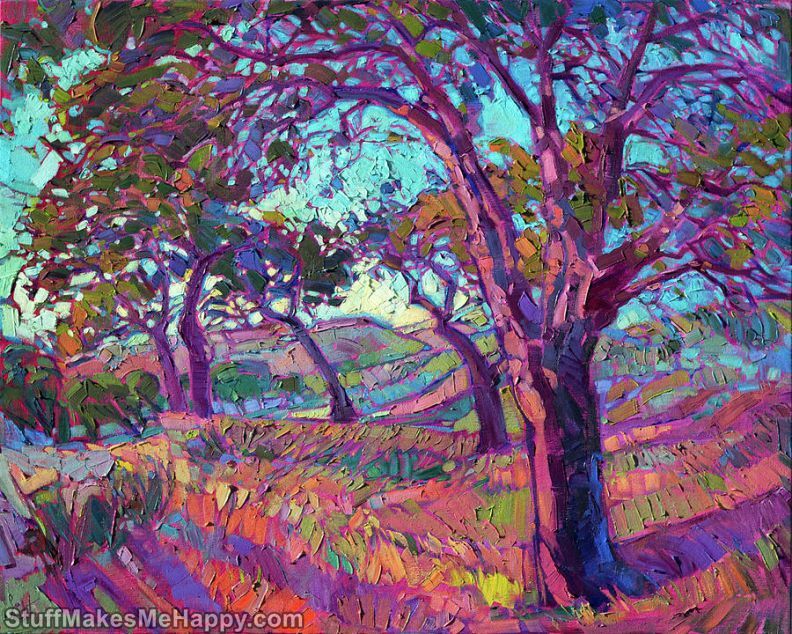 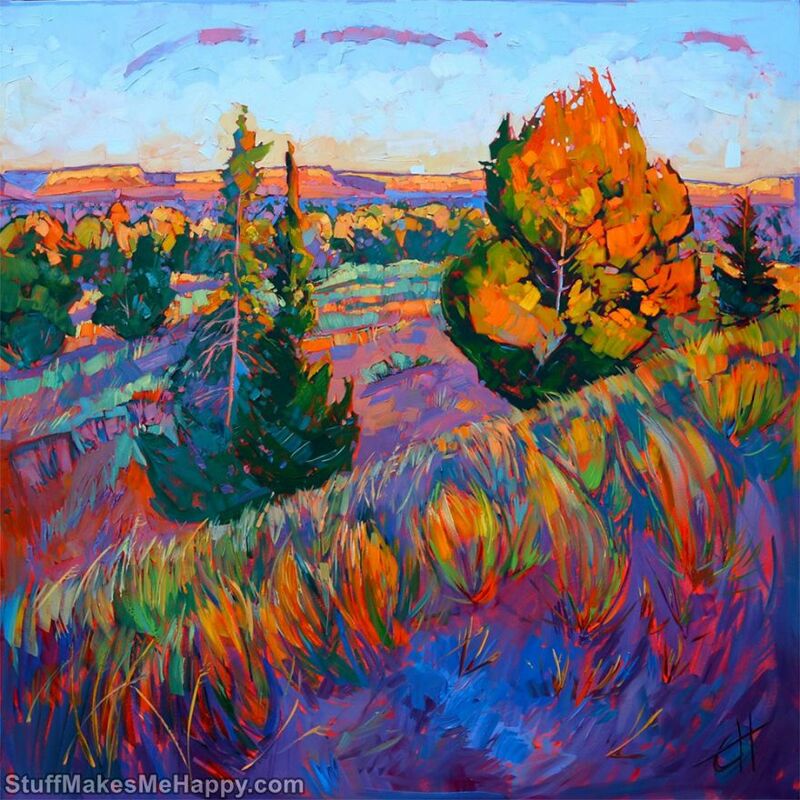 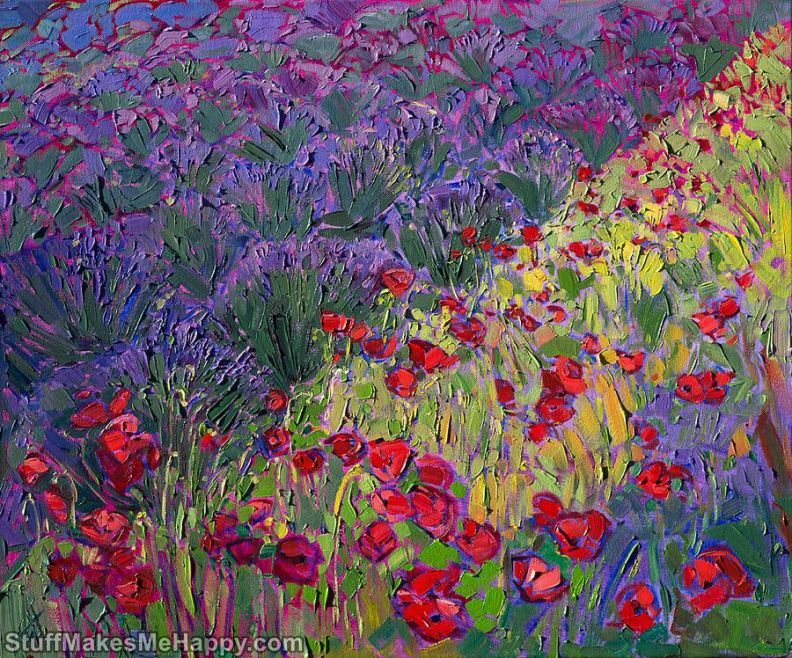 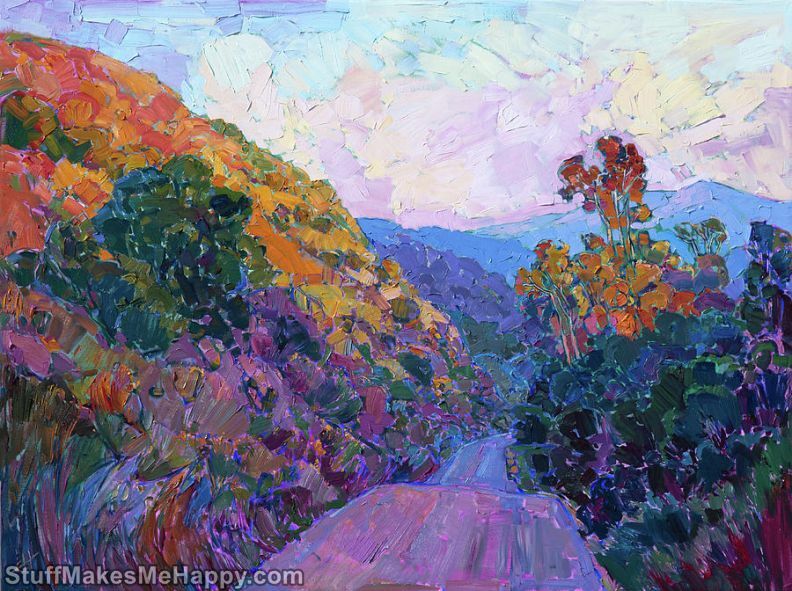 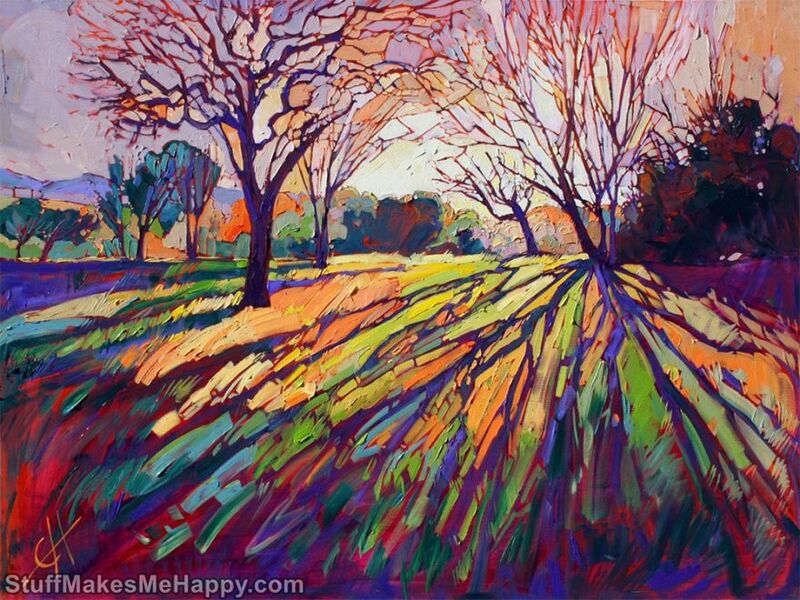 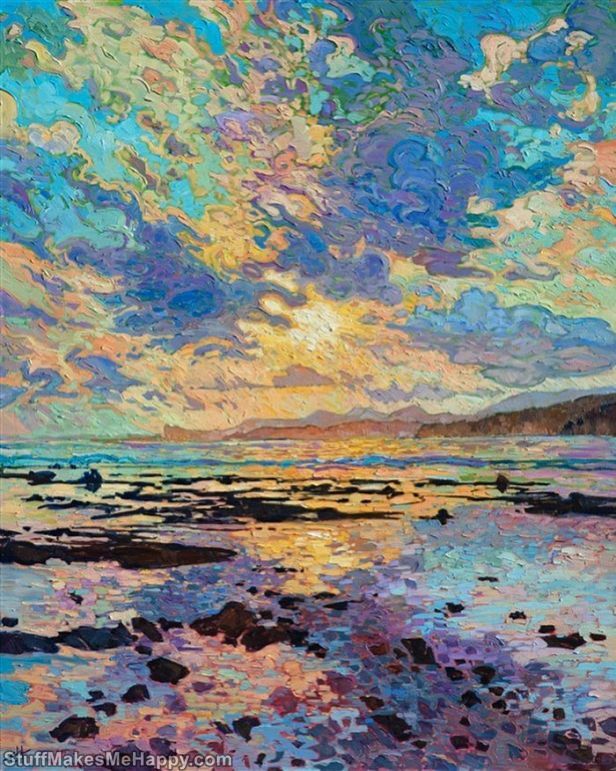 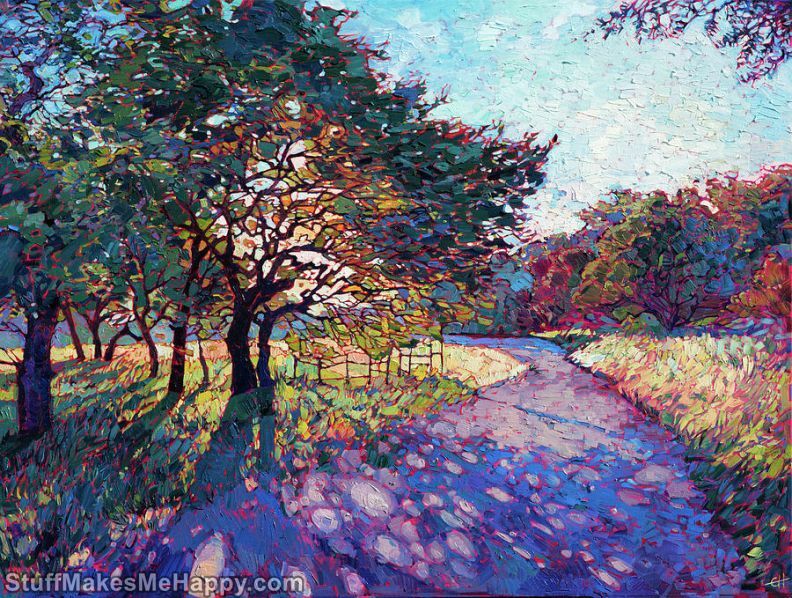 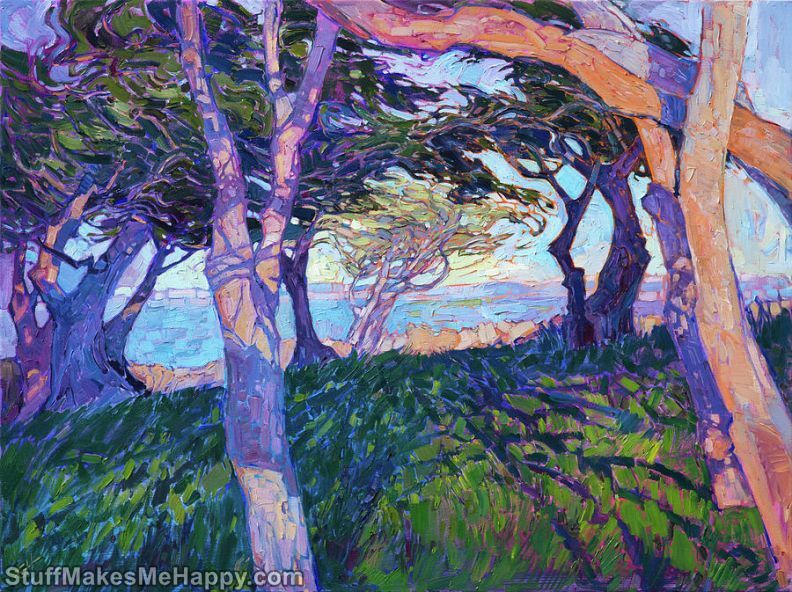 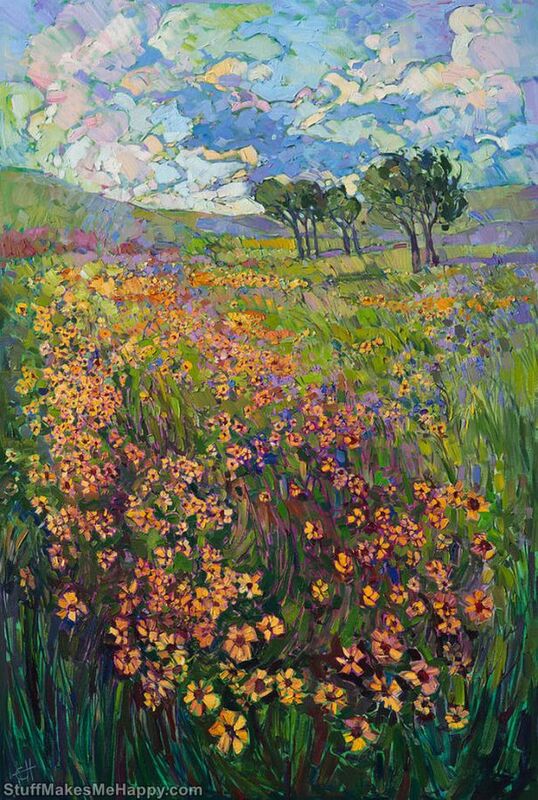 Checkout below Juicy and Innovative Landscapes in the Paintings of Erin Hanson.